Affectionately referred to as the “living room of the University, Morris Inn at Notre Dame has offered hospitality to the school’s families and guests since 1952. 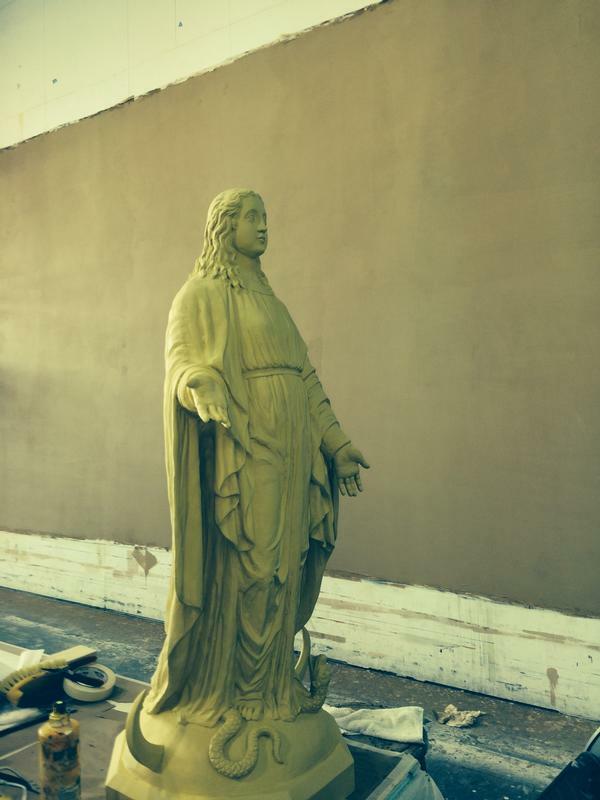 After an extensive renovation effort in 2012, Conrad Schmitt Studios was asked to gild a statue of the Blessed Mother. 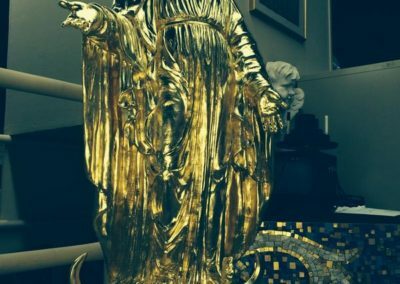 The figure is an exact replica of the statue that tops the famous gilded dome of the Main Building. 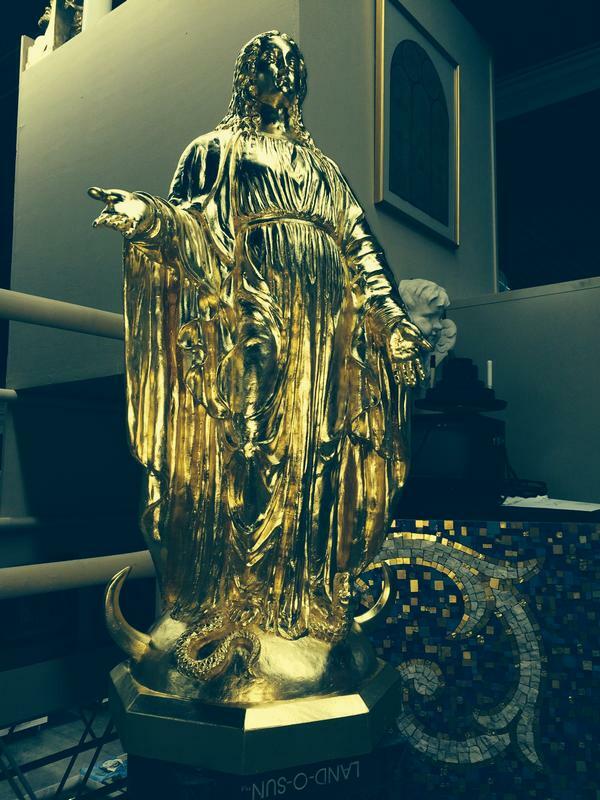 It depicts Mary crushing a serpent beneath her foot, watching over the campus. 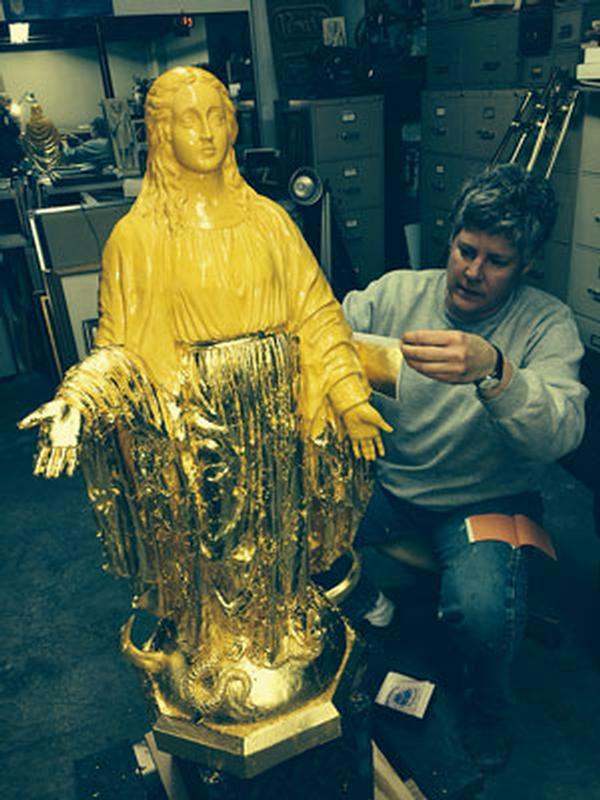 Just like the dome and full-sized statue, the replica of Mary was covered in 23k gold leaf. The surfaces were carefully prepared with size before it was gilded. 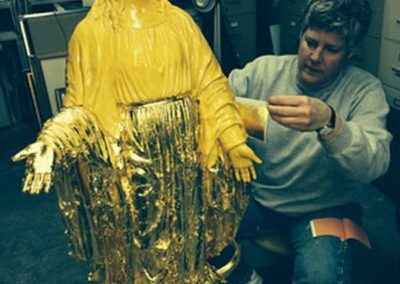 The gold leaf is then burnished to smooth the surface texture and give it a lustrous shine. 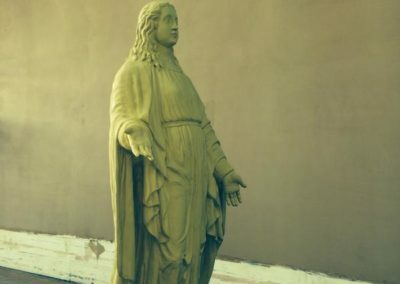 A clear coat was applied to protect the statue from curious passerby.